Tennengau in SalzburgerLand has 27 great trip destinations to offer, all brought together in the “Keltenerlebniswelt”(Celtic adventure world). The theme of water plays a central role here, which should come as no surprise as the district attracts visitors from around the world due to its wild and roaring streams as well as its mighty waterfalls guarding the imposing mountainscapes. Located not far from the city of Salzburg, the Tennengau region has countless trip destinations to offer, almost all of them suitable for children as well. We have summarised the best trip destinations that are close to the water for you. The Golling waterfall: In the Golling district of Torren, the roaring waterfall crashes down in two steps at a height of 75 metres. It is among the most attractive and most romantic natural heritage sites of the country. The path from the bottom of the waterfall up to the source and the second waterfall may be a little cumbersome, but it definitely pays off! Right in between the two waterfalls, a romantic wooden bridge extends across the raging water. The Aqua Salza Golling will make your wellness dreams come true. 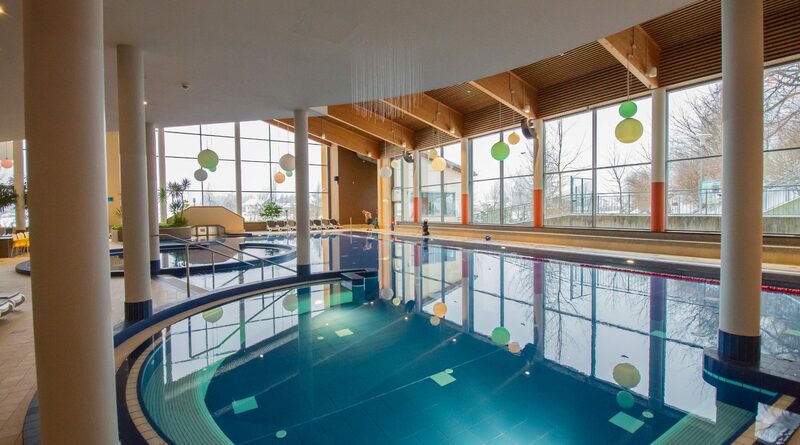 Why not make yourself comfortable in the bubbly warm hot tub, relax in one of the saline pools or go on a sporty walk, all amid the breathtaking Tennengau mountainscape. Both young and old can indulge in this world of water and swim, dive, have fun and just feel good. Additionally, several saunas let unnecessary thoughts and worries simply “evaporate”. The Bad Vigaun healing thermal baths also attract with a water temperature between 28 and 36°C, indoor and outdoor pools, a roman bath, solariums, saunas, massages, a large lawn for relaxing, a waterfall and an adjacent thermal café. The Lammer ravine: Raging currents, steep cliffs, deep canyons and impressive views can be experienced in the Lammer ravine in Scheffau. 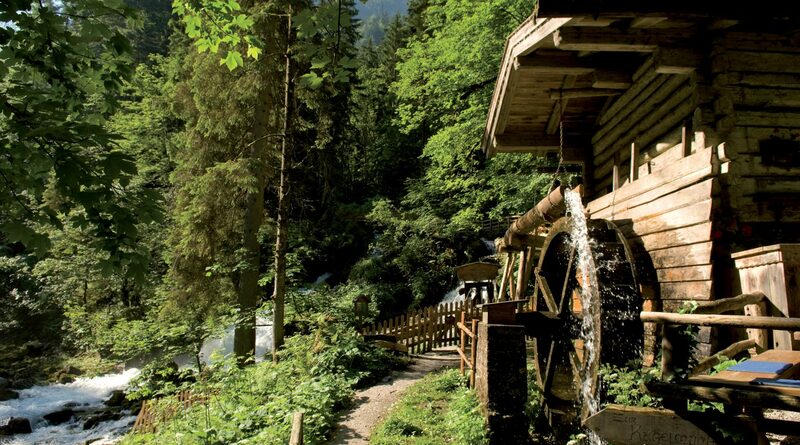 Secured paths and climbs lead the entire family safely through the impressive ravine in the heart of Tennengau. It was during the ice age when the Lammer river created this narrow valley in the mountain. As a result of the melting of the glaciers thousands of years ago, vast masses of water flooded into the valley, clearing away the boulder rock by rock — the Lammer ravine was created. The canyon is an impressive example of the erosive power of water. Waterpark Russbach: The large natural waterpark with its impressive waterfall, the various jumping opportunities and a modern water slide, offers swimming fun for the entire family. 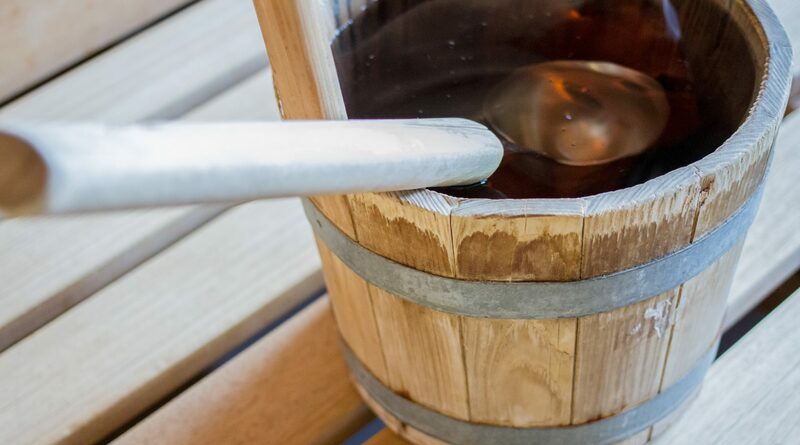 It is maintained on a completely organic basis and thus free from chlorine and other chemical additives. Cleaning is performed exclusively via the stylishly integrated vegetation. The experience-, water- and leisure-park boasts with a children’s canoe route as well as a play stream with weirs and a water wheel. 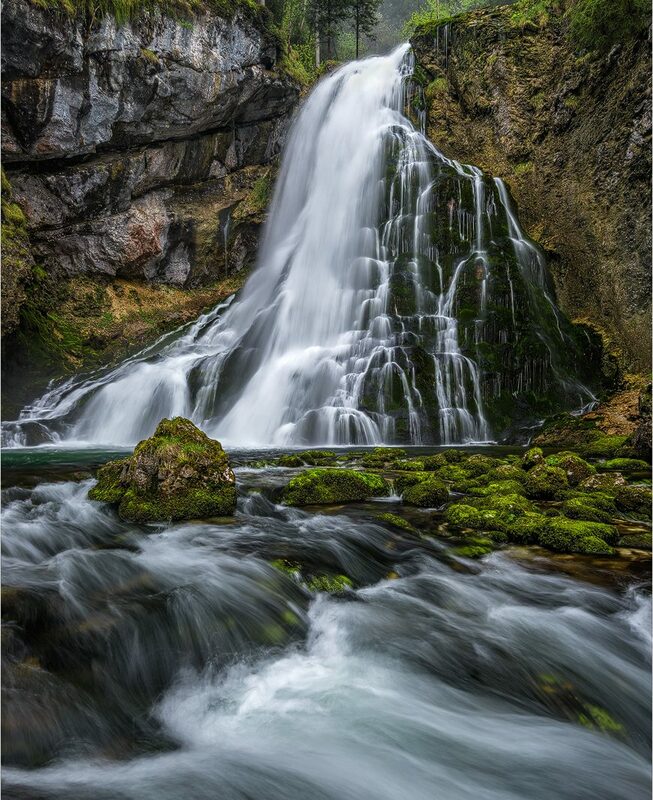 At the Salzachöfen adventure canyon, you get to know the untameable power of water. 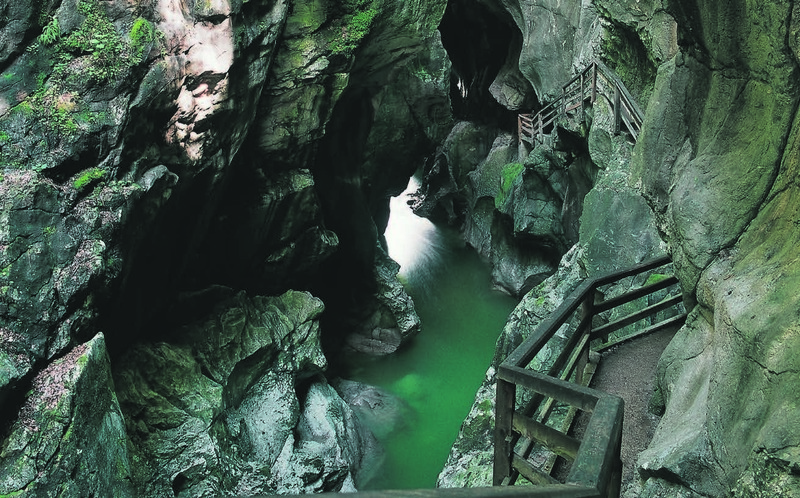 The wild and romantic “Salzachöfen” canyon is only a few steps away from the closely-located Pass Lueg passage. The imposing breach between the Tennen and Hagen mountains in the Dachsteinkalk formation is more than 80 m deep. To experience this unique natural phenomenon, you can book the Flying Fox Tour. During a guided hike through the canyon, your guides will explain to you the historical and geological background regarding the creation of the Salzachöfen canyon. And then comes the best thing: a flight with the flying fox (800 m) through the canyon for the last bit of the tour — with the rumble of the raging mountain water below you. The Lifeline Taugl in Bad Vigaun: The Tauglgries is a “Natura 2000 — European Protected Area”. It contains a unique wild river landscape as well as many animal and plant rarities. The Taugl is, however, also a favourite swimming destination during summer. Along the family-friendly theme trail “Lifeline Taugl”, the many living spaces of the of the inhabitants of the Tauglgries are presented to you as the children can spend many fun hours at the Nature Experience Playground. The power of water can also be experienced through the family-friendly Mühlren circular trail in Scheffau. 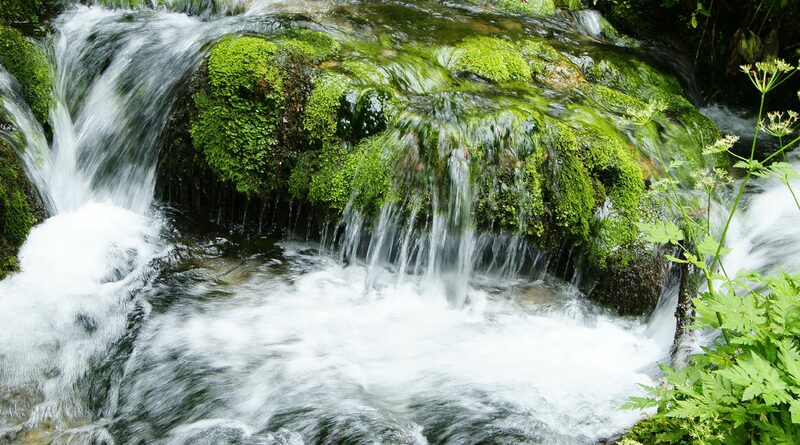 Along the wild and romantic Schwarzenbach stream, you hike to the historic wheat mill and then to the marble ball mill close to the impressive Schwarzenbach fall. The recreational facility Harrbergsee in Scheffau: This swimming lake provides you and your family with tranquillity, play and fun. Relaxation and a refreshing experience is no difficult task due to the excellent water quality whilst being surrounded by the wonderful mountainscape. The Seepark swimming lake in St. Martin at the Tennen Mountains: This recreational facility boasts with many attractions. It is an organic swimming lake with clear spring water, an illuminated water fountain, a fun water slide as well as many other highlights. The Wiestal reservoir: The idyllic Wiestal reservoir at Adnet is an excellent way to spend a fine swimming day. 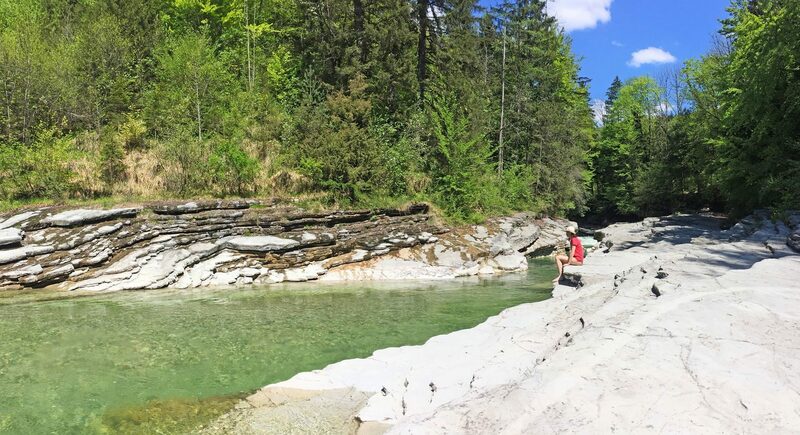 However, it also counts plenty of brown and rainbow trouts among its inhabitants, as does the crystal clear Almbach stream, making the spot a dream come true for fishing enthusiasts. One of the places where you can receive a fishing license is the Almstüberl guesthouse in Adnet, Wiestal, Landesstrasse 53. And for those seeking even more adventures, you can go on a canyoning excursion and also book a rafting tour in the Almbach ravine.